A good friend of mine has become a consultant for Pampered Chef. I am -so- excited. I loved Pampered Chef shows when I was a child ( I went with my mother ). I’ve always loved cooking tools. The more you buy, the more your family rejoices! I do not leave a response, but I browsed some of the responses on this page Buy Pampered Chef Online now until Jan 29th! 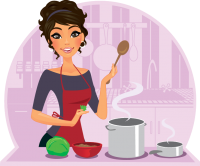 � Things I can cook. I actually do have 2 questions for you if it’s okay. Could it be only me or does it look as if like some of the comments look as if they are written by brain dead people? 😛 And, if you are writing on other online sites, I would like to follow you. Would you list of every one of all your shared sites like your twitter feed, Facebook page or linkedin profile?